The way in which the mind works is a very intricate concept to understand. As a counselor, I observe how the cognitive interprets certain themes such as uncertainty, purpose, and fear. Analyze how one chooses to respond to those inner conflicts through their behaviors and try to understand what and/or who influences their current worldview. I’m currently writing a paper on the Theory of the Mind for grad school, and within it I speak about the first thing any counselor should do before diagnosing a client and that is to understand the humanity of the mind; and the problem second. The problem can be on trust, a spiritual disconnect, friendships, marriages, abuse, a mental diagnosis, etc. It is innate to want to address the problem first because the problem may not be comfortable for others, it may look or sound different than the conventional, or we may approach a problem differently that we may side eye others on how they choose to handle things. In like manner, many rappers are stigmatized as the problem and are the thought to be ‘in a sunken place’ based on their behavior. Nonetheless, when I listen to rappers (some, not all lol) I appreciate the humanity of their lyrics because although they may curse in their songs, talk about certain lifestyles we may not be able to relate to, or even their behavior may not overtly appear as though they are seeking Christ, there still is a baseline within both their behavior and within their message that seeks God. If you listen to their lyrics you can hear the invocation, you can hear their special prayer request, their sermon about struggling to keep their faith, you can hear the praise and worship glorifying God, (like Chance the Rapper using the song sample How Great is our God), you can hear these rappers on the same track working together (fellowship) discussing God and the spiritual warfare that’s within from the enemy. Most importantly, you can hear them giving an invitation to God. 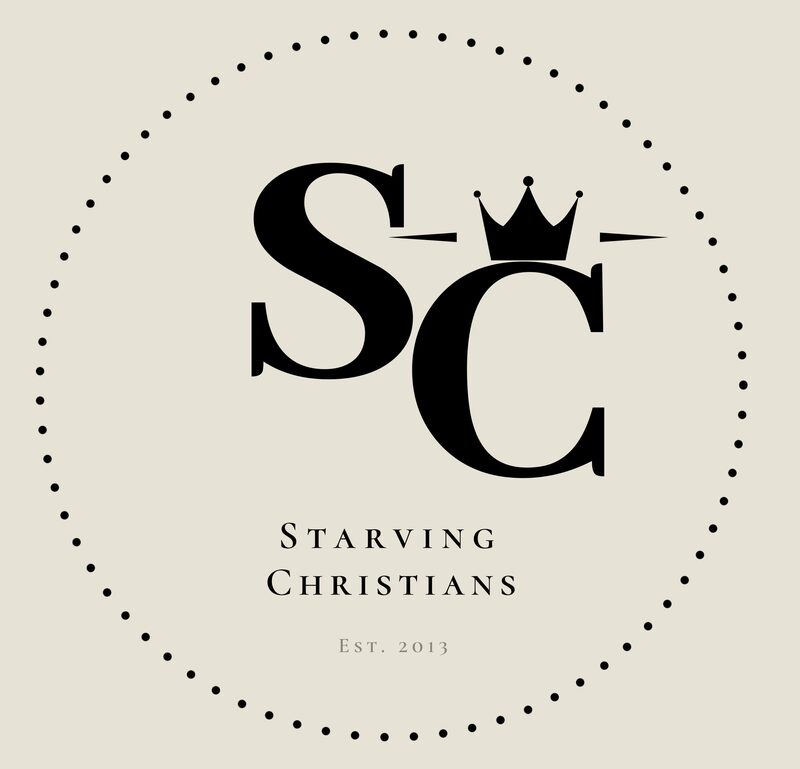 Their message may not be delivered from a pulpit, packaged as a gospel album, or posted on a Christian blog site, but these men and women are the embodiment of what a Starving Christian looks like. Transparent. Raw. Full of emotions. Full of confusion. Vulnerable. Seeking for clarity and starving to understand how to apply God’s Word. Let it chase the pain, before it goes too far. Our first reaction to how we choose to respond to life’s circumstance is not always indicative of who we are or where we are in Christ. Some may go to happy hour first to soothe the pain, others may seek out to friends and family, and others may go in prayer. But we must be careful not to measure one’s spirituality based on a response, because how we first come to God is not always pretty. The prayer may not always “sound right”, you may not even be “dressed right” but it’s you! A drug addict or an alcoholic does not always seek God when they are sober. No! They may come to God with slurred words, itching and scratching for answers in their most vulnerable state –starving for their healing. These rappers have let thousands of people around the world access to their spiritual and life conflicts. And as they continue to search the Word for answers and decipher through what role do they play in this life, we should come together in solidarity and lift them up in prayer. We should pray that their understanding of God becomes stronger and that healing and restoration will begin within their lives as they have a platform to reach the lives of so many others. They should no longer be brushed away, criticized or turned off because “they’re rappers, they chose that lifestyle”. No! Some of us won’t even tell the people we love what we are going through out of pride; suffering in silence. They are just as part of the church as you and I. Not the brick and mortar church but the church that goes beyond the walls and reaches out to your communities, your family, your friends, your influences that develop self-insight. As we pray for them, God says in Jeremiah 24: 7, I will give them a heart to know Me, for I am the LORD; and they will be My people, and I will be their God, for they will return to Me with their whole heart. I challenge you to see the humanity in mankind, see the humanity of the mind, because when you see this, you can also see yourself. 1 John 4:12 No one has ever seen God; but if we love one another, God lives in us and his love is made complete in us. This is an incredible read!